Following my review of the astonishing terracotta-aged Amphoressence, I looked forward to sampling more by Gallimard Père & Fils. On this occasion, I’ll be returning to the family house’s roots with their Quintessence, a 100% chardonnay blanc-de-blancs blend aged in oak barrels for six months. Use the menu above to jump ahead or scroll down to read it all! Download the Gallimard Quintessence Champagne Sheet as a PDF. Featuring solely Chardonnay grapes from the 2014 harvest, this blanc de blancs was aged for six months in oak barrels. Following this process, the still wine was bottled and aged for a period of 42 months. An extra brut blend, Quintessence features a dosage of just 6 grams per litre of sugar when bottled in August 2018. Quintessence opens as an energetic and lively cuvée, serving a glass reveals a frothy mousse as well as a torrent of perlage. The wine features a clear, mid-gold hue that’s rich in colour. Quintessence’s first nose reveals an intense bouquet that’s both yeasty and toasted to create a brioche accord. A hint of smooth vanilla adds a gourmand element while a fruity note of physalis stimulates the nostrils. 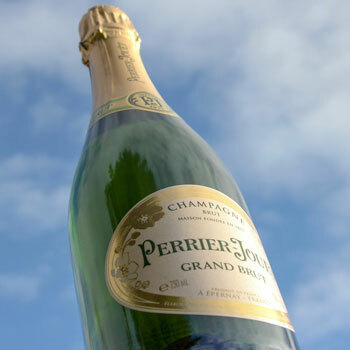 Perrier-Jouët Grand Brut Champagne Review: Is This The Most Festive Champagne For Celebrations? If given enough time to oxidise, the bouquet begins to reveal deep notes of red fruit. Mellow yet zesty raspberry can be picked up against unctuous cherry. Quintessence opens with a burst of woodsy tannin as well as young, almost green, apricot. A glimpse of blueberry can be detected at the rear of the palate while the oak persists before fading into the heart. Shortly after, a creamy butterscotch note dominates the heart, which contrasts with the metallic fruitiness of tinned peaches. Meanwhile, there’s just a hint of strawberry much like the blueberry before it. Eventually, the flavours gather towards a finish, which sees the oak return for a grand finale. Alongside the vinous wood is an astringent note of chalk while a yeasty touch of brioche lingers. 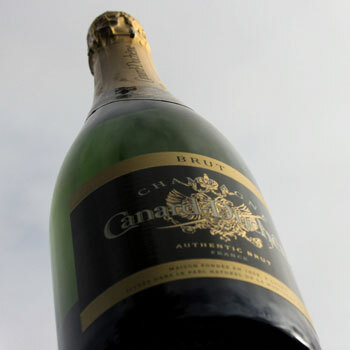 An overall intense experience, the champagne is quite tart with an intense and velvety texture. With its rich oak character, Quintessence is an intense experience that demands an accord that has enough personality to offer harmony. While caviar and foie gras may be perhaps too delicate for Quintessence, they are indeed possible candidates. However, I would advise oysters to be a more suitable starter. Otherwise, Quintessence is best suited as a wine for a main course. As such, I personally opted for a rare, almost blue, bavette flank steak to accompany the champagne. However, curries, barbecue, or cured meats would be all excellent options too. Alternatively a shellfish with rich flavours might work well. Although not a typical apéritif champagne, I would find it to be something that can be appreciated on its own. At a push, olives or tapenade might make for a pleasant addition. Finally, cigar enthusiasts may fare well here and easily enjoy pairing Quintessence with a mild to medium cigar. Had the opportunity presented itself, I would have likely chosen something similar to a Nub Sumatra or Habano-focused blend. As with the Amphoressence, Quintessence is features a modern design on the label with a cursive “G” as the central logo. On this occasion, the label is grey rather than black with some silver lettering. However, what I particularly appreciated was the sheer detail offered on the rear label, which provides ample information on the blend. Here, you’ll learn about the grapes as well as when and where they were harvested. It also details for how long it was aged in the oak barrel as well as on laths. Similarly, the date of the disgorgement is provided as is the precise sugar dosage. Such transparency and eagerness to provide background information on a blend is rare in Champagne. As such, it’s always appreciated when it’s provided. While the Amphoressence’s plaque was black, this one is white. However, both use the same theme of the cursive “G” logo. Like Amphoressence, Quintessence is a surprisingly affordable champagne despite being such an elaborate and labour-intensive blend. At only $40 directly from Gallimard’s shop, it offers astounding value for money! Finally, as mentioned above, this a champagne that I would mostly recommend for accompanying a meal or being appreciated alone. I wouldn’t suggest it to be the drink of choice during a party or gathering as it’s not an easy drinking. Instead, it’s one that demands slow and contemplative appreciation. If pressed, I will probably recommend the Amphoressence over the Quintessence if you were to only choose one. 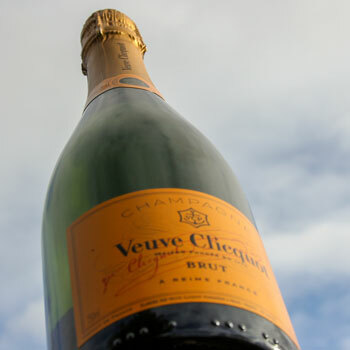 After all, it’s a truly unique Champagne that offers a one-of-a-kind experience. However, if you had the opportunity to purchase Gallimard’s champagnes, I would insist that you buy the two together. As you can learn in our Gallimard brand guide, Didier has been experimenting with oak casks for over 40 years. Meanwhile, his son Arnaud has been developing techniques to mature wines in terracotta amphora vessels. Therefore, both reflect the family brand’s core identity and exude the father-and-son dynamic in their artful blending. "An unctuous experience. A rich harmony of tannin and yeasty notes, this vinous and tart champagne is one to savour." 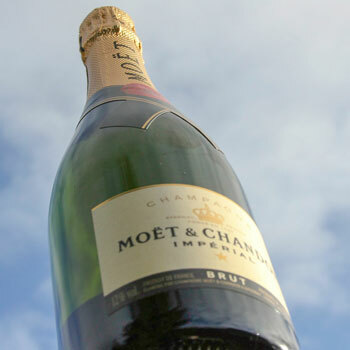 Moët & Chandon Impérial Brut Champagne Review: Is The World’s Most Popular Champagne Worth The Hype? G.H. 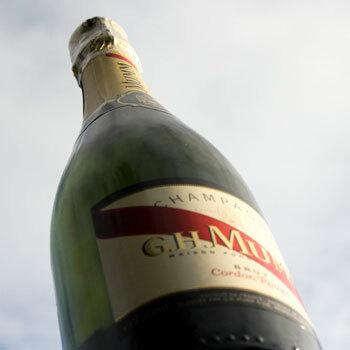 Mumm Cordon Rouge Champagne Review: Mumm’s The Word On This Brut!